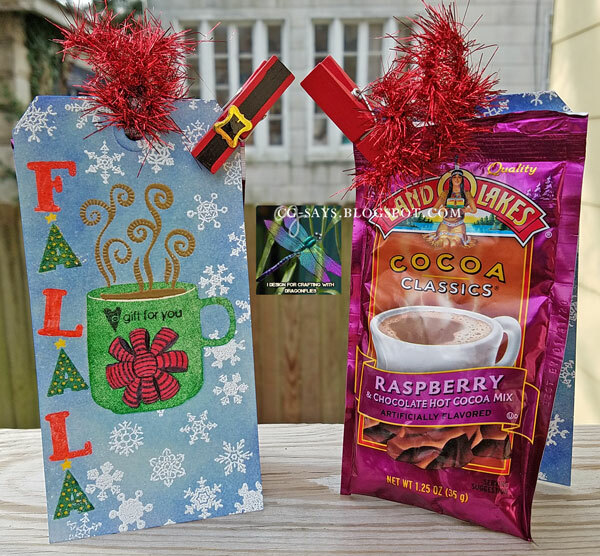 What a great little gift tag, and nothing like those Lake o' Lakes flavored cocoas, and you have my favorite one attached "raspberry". I haven't looked for these in the store in a long time, but I'm going on the hunt now. Thanks for sharing your tags with us at Double Trouble and using Your Stuff that works with the Mood Board. Please come back for more fun pairs and share at Double Trouble. 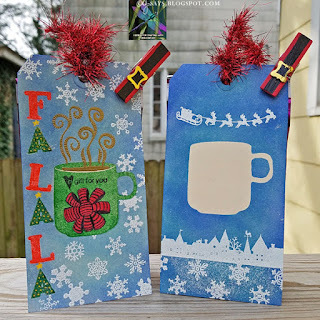 Thanks for sharing your tags with us at Double Trouble. 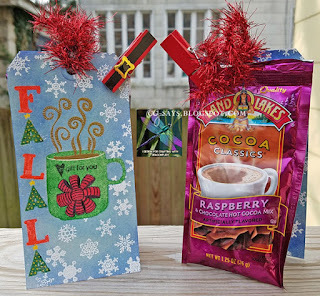 I love the santa suit colored pin attaching your cocoa! I agree with Sue...love those Land O Lakes Cocoas, but I'm a French Vanilla fan. Love your fabulous tags and love that they turn into a gift too.